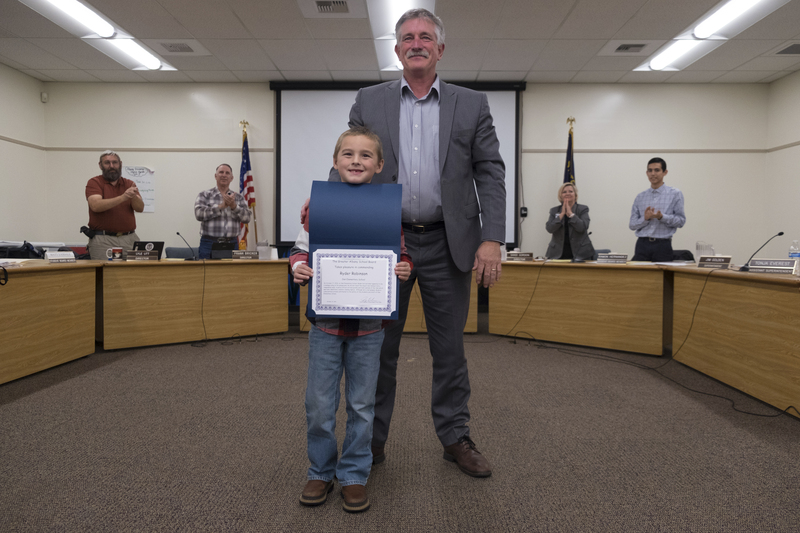 This week, the School Board recognized the responsible behavior of Ryder Robinson, an Oak Elementary School student who found and reported a replica handgun that he found on the playground. At the time, he did not know if the gun was real, but he knew he should not touch it and he should tell an adult about it. 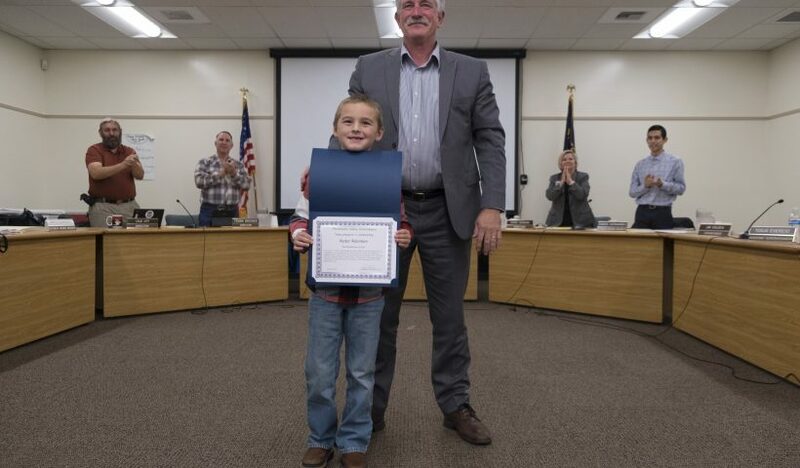 He attended the School Board meeting to accept his award and shake hands with Superintendent Jim Golden and all School Board Directors. On October 17, 2016, at Oak Elementary School, Ryder noticed what appeared to be a handgun lying on the playground. He did not touch the object and instead told a responsible adult. A police officer arrived quickly and took custody of the item which was later identified a realistic looking replica. Although not a real weapon, Ryder’s conscientious actions contributed to the safety of the students and staff of Oak Elementary School.